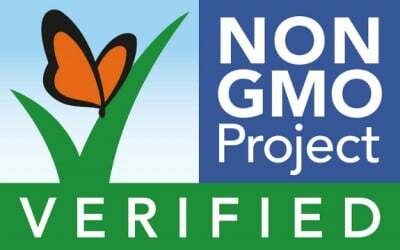 Now that people are selecting their food with more caution you would think that companies who do not use GMOs would take advantage of the opportunity to identify their brand name, and further indicate it as Certified No GMO ingredients. This would open up a whole new market for them. The problem is that GMO who is backed by the FDA and the USDA uses Gestapo threats and methods. I only recognize 5 of these brands, and of those 5, none are available within 100 miles of where I live. You call yourself “Truth Feed”. And in this article you have interpreted NON-GMO as GMO-FREE. With that… you are just doing copy/paste journalism, the same thing of which we could accuse mainstream media. NON-GMO means LESS GMO. Nobody seems to be reading anything. Check the nongmoproject.org before you just follow the hyping labels. NON-GMO has nothing to do with health. It is a trading committee like codex alimentarius. The problem here is that the label says "non GMO project verified". Nowhere does it say that the product is GMO free. Legally a company could use this label while still using GMO ingredients. This makes me very suspicious. Great information to know & share! Ummmm… how 'bout Bob's Red Mill??? Didn't see them in the list??? Here in Vegas they make spices so GMO foods are iristable and addicting. Their factory is near the pig farm near Loosie and Craig. When we drive by the plant and they are making "human spice" it stinks more than the pig farm. Thank you for the list of Non GMO companys. Earth Balance is not GMO-free, yet deviously tries to give that impression. This list shows companies who make many or even the majority of all their products without GMOs." I'd like to see a list of companies who make ALL of their products without GMOs!! Trader Joe's swears that there are no GMOs in any of their private label foods. Why aren't they on this list? I agree, I do not trust this list at all. A lot of the companies use soy, canola, corn, beet sugar, all of which are definitely GMO products if not certified organic. I don't buy a lot of prepared foods, but the few I do are certified organic and I still read all labels so I know what I am eating. I have to agree with Amy. An eye catching sticker labelling NON GMO products is the way to go. This way we can buy the product instead of assuming that it is another GMO poison. you can deep river snacks to the list. meant to say ADD deep river snacks to the list! So glad to see this. The consumer's $$$ speaks volumes. Not much use to me, I'm not in America. However, I have to say it's a nightmare trying to work out what to buy and what to avoid…..everything seems to change all the time, and what is "safe" one minute suddenly gets debunked the next. We're never going to know for absolute certainty whether the food we've just eaten was truly ok or not, especially as contamination of foods with GMO is global. I think in the end we just have to do the best we can and try and ingest as little as possible of the stuff. New Chapter? I have absolutely no confidence in this list. Do your own research. Yep. Most are owned by the big corps that sell GOM's. The whole idea is that they don't want the American people to have any idea of what a GMO is. Most Americans don't have a clue about it. If they start labeling more items NON GMO people may start asking questions. They don't want to plant the seed! New Chapter is now owned by Procter & Gamble, which are the same owners of Monsanto. I personally wouldn't trust the non-gmo project I'd rather check each brand out myself. Like we're going to remember any of these 400 company names. Non-GMO food makers need to align and devise a symbol that indicates no GMOs are present in their foods. If could be as simple as the letters GMO in a circle with a diagonal line through the letters. Another benevolent symbol could indicate that no fluoridated water or other poisons were used in making the food products. Companies that are first to do this will quickly capture their markets, as people everywhere are searching for ways to avoid these poisons. As it is now, we're completely in the dark when shopping at the food stores. Even reading labels is pretty much pointless, because the poisons are simply not mentioned (like fluoride [rat poison] content) or hidden behind some ten syllable incomprehensible word. You've said it all. I wish everyone thought like you. I was surprised to see "Blue Diamond" on this lists. They sell a variety of flavored almonds along with just plain almonds. Only the plain almonds are GMO free. The others contain canola oil, soy lecithin or maltodextrine. None of their nuts are organic.